North America's largest known uncut, gem-quality diamond — The Foxfire — begins a three-month engagement this Thursday at the Smithsonian’s National Museum of Natural History in Washington, D.C. The diamond weighs more than 187 carats and will be presented alongside the renowned Hope Diamond in the Harry Winston Gallery. The Foxfire was unearthed in August 2015 at Rio Tinto's Diavik Diamond Mine in the Barren Lands of Canada’s Northwest Territories, about 130 miles from the Arctic Circle. Extraordinarily large, gem-quality diamonds are an extreme rarity in Canada's Northwest Territories. In fact, the sorting machines that process the ore at the Diavik Diamond Mine had been calibrated to capture rough diamonds of 6 carats and smaller. Everything larger was supposed to be pulverized. Just by chance, Foxfire's uncommonly flattened shape allowed it to pass safely through the filters. 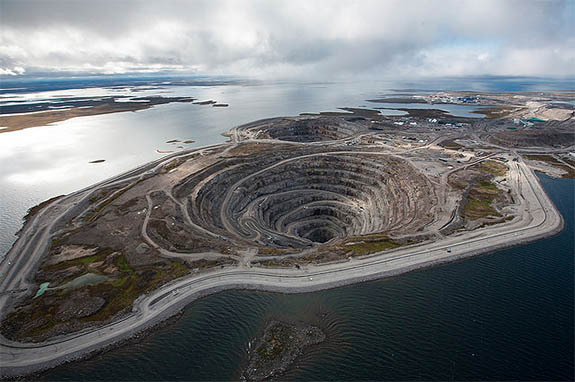 Since production began in 2003, Diavik has produced more than 100 million carats of diamonds. The Foxfire is named after the aboriginal description of the resplendent Northern Lights that brighten the Arctic sky like a brush of undulating fox tails. Deepak Sheth of New York-based Amadena Investments LLC/Excellent Facets Inc. acquired the diamond at auction in June of 2016. 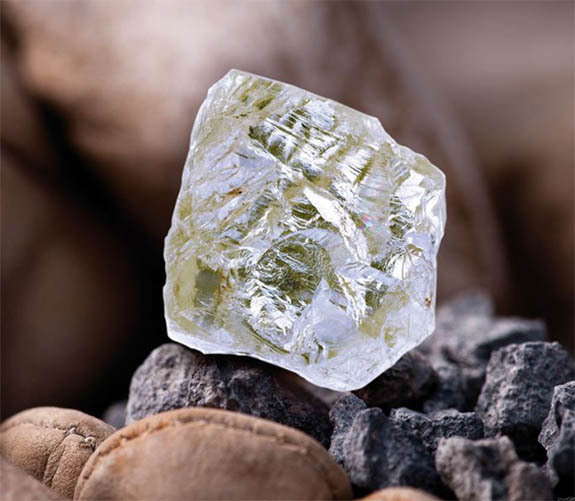 According to the Smithsonian, Sheth has elected to keep the rough diamond intact, preserving the diamond’s dazzling physical characteristics and its unique story. The Foxfire will be on display from November 17 through February 16, 2017. Admission is free. Credits: Foxfire diamond photo courtesy of Amadena Investments LLC; Mining photo courtesy of Rio Tinto.